Multilingual Live Producer, Field Producer and Location Manager based in Rome, Italy. Available to work across Europe. 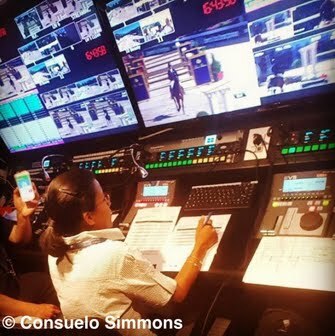 As an experienced Live Producer, Field Producer and Location Manager, I have been exposed to all of the responsibilities of news-gathering and can perform under extremely high-pressure. I am also experienced in the pre-production and production of documentaries, live sports events, factual entertainment, corporate programmes and commercials. I work quickly and precisely respecting stringent deadlines and can predict what will be needed. When faced with problems I take the initiative and resolve them resourcefully. I am organised, hard-working, articulate in three languages (mother tongue English-Italian, fluent French), spirited and dependable. I complete my tasks diplomatically, maintaining a professional and friendly rapport with my colleagues.